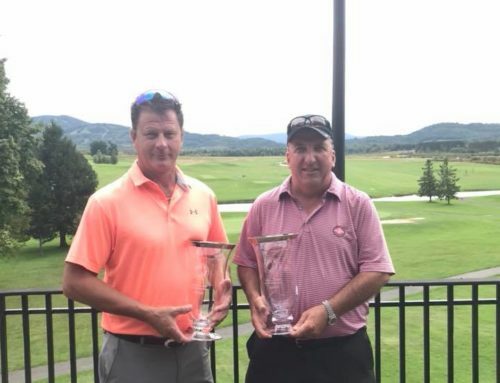 (Snowshoe, WV) The 2018 WV Four-Ball Championship concluded today at The Raven Golf Club at Snowshoe Mountain where teams blitzed the Gary Player designed 6,845 yard course on their way to a great battle for the Four-Ball team title. After a picture perfect day on the course for Round 1, the sunny and blue skies gave way to clouds and fast approaching storms as the afternoon seemed to be a game of dodge as lightning and thunder pulsed throughout the area never getting close enough to suspend play. Following Saturday’s opening round the filed was split into two divisions with 15 teams advancing into the Championship Flight and 16 finding their way into the First Flight. In the Championship Flight it was a battle at the top of the leaderboard. The team of Adam Sholes and Nick Biesecker were the first team in to post 127, seventeen under for the championship. 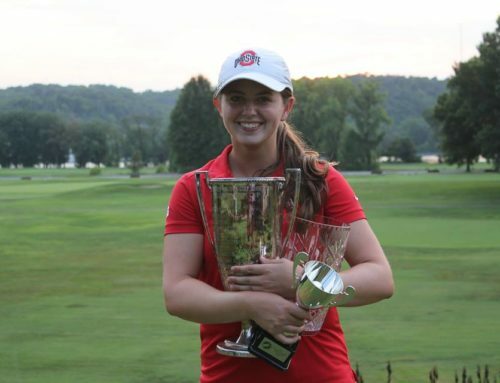 Sholes and Biesecker got off to a hot start on Sunday as they opened their round with back to back birdies and then carded three straight on holes six, seven, and eight. The birdie on eight was extremely special as both players found trouble off the tee left with their first drives and then found trouble with their provisionals. Starring at making a triple or quadruple bogey at best, Sholes was able to find his original ball in the tall fescue grass. After taking an unplayable, Sholes was able to gain enough room to make a swing at it and once he did the ball found nothing but the bottom of the hole for a birdie three! Turning to the back nine the duo made birdies on ten, thirteen, and then three straight on holes fifteen through seventeen to post seventeen under-par. Shining behind them was the group of leaders who were in an unbelievable battle within their group. Heading into Sunday the team of Mason Williams and Ian Patrick Archer had a one shot lead on Jess Ferrell and Philip Reale II. The two teams both started the round with birdies on the par-5 fifth. Williams and Archer then birdied the short par-3 third to take a two shot lead in the tournament. The teams traded birdies on holes four, five, and seven. Mason and Ian then birdied the par-4 eighth and Jess and Philip fought back with a birdie on the ninth allowing Williams and Archer to make the turn two up. 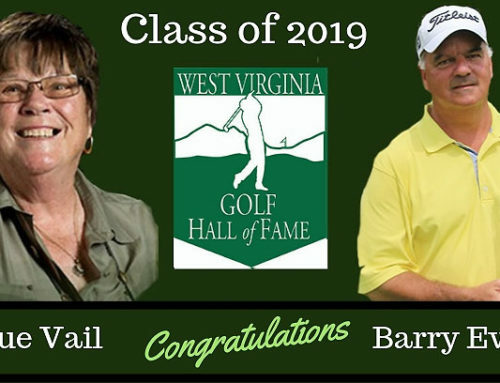 Ferrell and Reale gained one back with a birdie on the par-4 eleventh and added another when Reale almost holed out on the par-5 thirteenth for double eagle. Even with Williams and Archer carding birdie there, Reale’s eagle brought the two teams into a tie heading into the fourteenth. 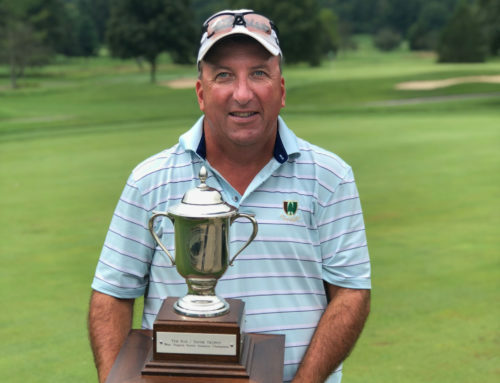 Riding the momentum of the eagle on the previous hole, Reale made birdie on the par-3 fourteenth to take a one shot lead before Williams drained a long birdie putt on the fifteenth to bring the teams back to even for the tournament. Both teams then birdies the sixteenth and seventeenth to stroll up to the eighteenth tee tied at twenty under-par. 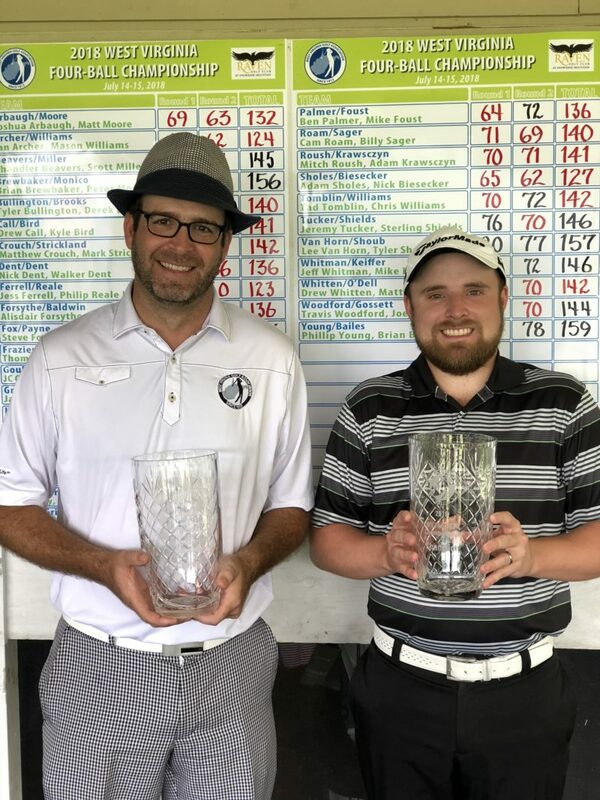 After both teams hit their approaches it was Jess Ferrell who was able to roll in his birdie putt on the final hole to claim victory for he and his partner. This victory is the first victory for Jess and Philip since they won the WV 2-Person Scramble in 2016. At the completion of competition in the First Flight three teams found themselves in a tie for the lead at two under-par, 142. The teams of Matt Crouch/Mark Strickland, Chuck Workman/Jeff Harper, and Drew Whitten/Matt O’Dell headed to the ninth tee for a sudden death playoff. The team of Whitten and O’Dell were the first team eliminated after they found trouble off the tee and could never recover. The other two teams advanced to the par-5 first hole where both teams exchanged long birdie putts to advance to the third sudden death hole. Back on the drivable par-4 ninth, both teams found themselves with birdie putts looking to claim victory. 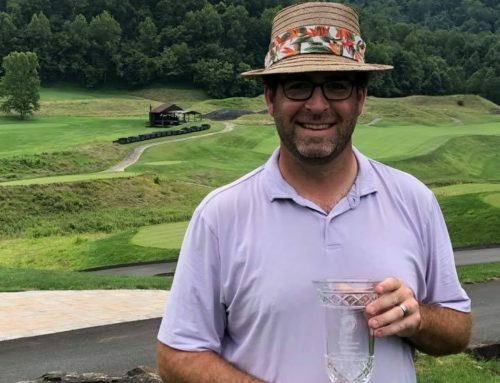 After Crouch and Strickland both missed their birdie chances, Workman proceeded to make his 45ft birdie putt to claim victory of the First Flight.